Edwardian Sideboard circa 1900-1910 mahogany sideboard. 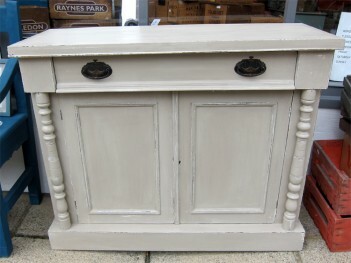 Painted in Annie Sloan Country Grey, sanded back to distress finish and then waxed. Original handles and working key!